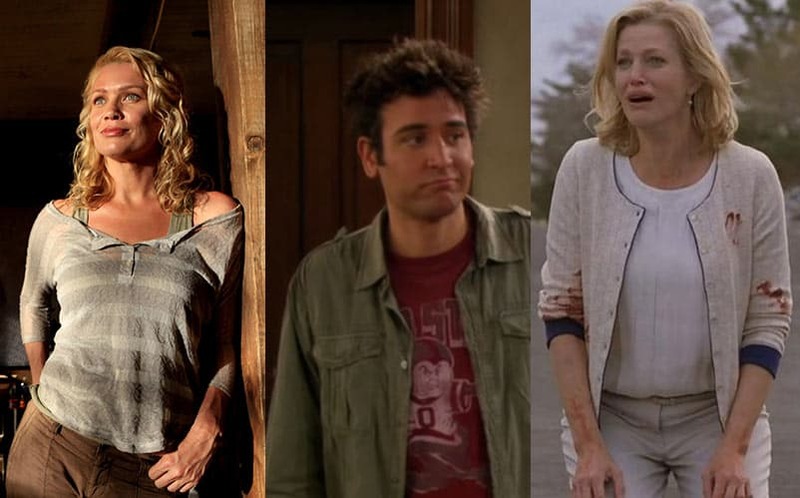 10 Bad TV Characters Who Ruined Otherwise Good Shows | Nerd Much? How many bad TV characters have you come across in your life? There’s nothing worse than when you’re enjoying a show, and then the writers introduce a new character that’s simply awful. We’ve seen this tragedy too many times to count, and it’s to the point where we just want to throw up our hands and find another hobby other than Netflix binge-watching TV shows. No, that’s just crazy talk. Sorry. There have been numerous bad TV characters that almost (or did) ruin the TV series that those characters were in. Whether he/she was annoying, poorly written, conflicting, or the actor was hard to watch, it’s undeniable that a bad TV character can ruin your favorite show quickly. The people on this list are awful characters who were not intended to be awful, but one way or another, he/she ended up on our bad sides. Of course, we can’t necessary call them the worst TV characters because “worst” is a superlative adjective that has subjective undertones, but the characters on this list make us grit our teeth and shake our fists with anger. Editors Note: While the majority of this list consists of female characters, we’d like to point out that it says a lot about the poorly written female characters in television. While we enjoyed HIMYM, we’re glad it ended when it did because after nine seasons, we were seriously ready to punch Ted in the face. Let’s start with his relentless pursuit of a woman that has turned him down numerous times. Follow that up with how he aggressively throws himself at every woman that crosses his path, treating them as potential romantic partners rather than people, and then whines to his friends when they don’t love him back. I guess we’re supposed to ignore the fact that he cheated on one of them with the aforementioned woman. He should be locked in a room with Ross Geller so they can throw a gigantic pity party and commiserate with one another on their lack of romantic success, even though they’re such nice guys. One could make the argument that Heroes Reborn isn’t that good of a show to begin with, so this is a moot point. This storyline, however, really stood out as being particularly awful (which is saying something). It begins with a random guy bursting into her apartment, claiming he got her address from a popular MMO and noting that she looks like a character from the game. After promptly kicking him out, she then notices a room in her apartment that she apparently didn’t know was there, and thus discovers her superpower. There is a katana she inherited from her apparently missing father, which, when opened, transports her INTO the game’s world. Naturally, said father is imprisoned in the game (surprise). And not only can she use the sword in the game, but apparently in real life as well. 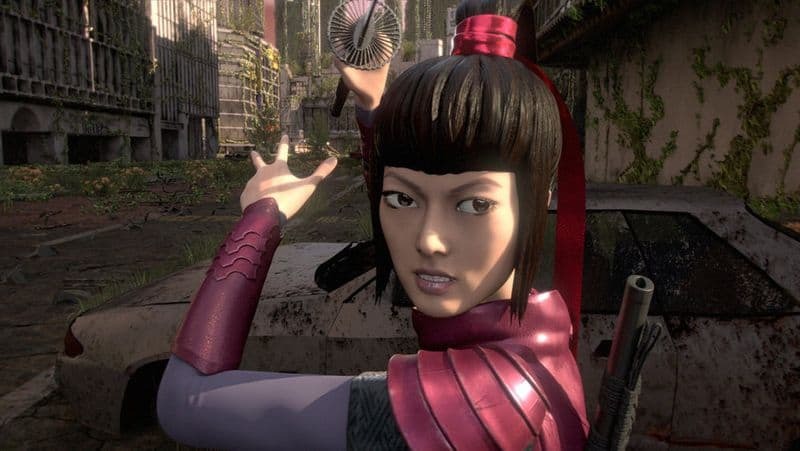 It seems like a cheesy storyline, and even if Tim Kring can somehow wrap it in a neat bow by the time the series is over, Katana Girl is forever going to be known as the worst character ever introduced on Heroes. 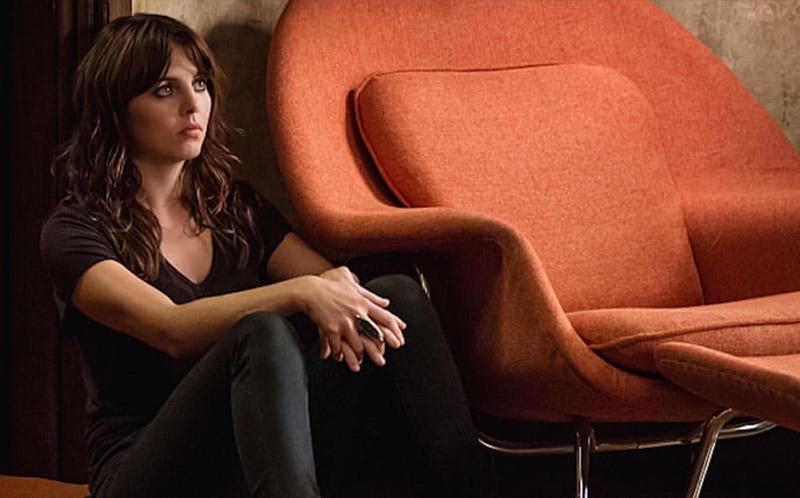 Of course, someone had to fill the void when Joan left Sherlock’s side in Elementary, and when Kitty Winter (played by Ophelia Lovibond) was introduced, we almost immediately lost interest in the show entirely. Her introduction, itself, was borderline sexist: her first scene involves her fighting over Sherlock, a man, with Joan. Kitty also took a too-evil-for-TV turn when she tortured someone for information in one of the episodes, adding to the idea that her story was too far-fetched to be enjoyed. It’s also unacceptable that Sherlock would have accepted her form of vigilante justice, although that’s exactly what he did in the show. Needless to say, we were glad to see Kitty leave, and we’re thankful that the showrunners have no intentions of bringing her back. Laurel Lance is easily the most disliked character on Arrow. Her transition into Black Canary following her sister’s death doesn’t help; Sara was infinitely preferable and more believable as the masked vigilante. Although Laurel Lance is Black Canary in the comics, her character in the show is far too weak — she’s poorly developed, one-dimensional, and inconsistent. Combined with her lack of training, her incompetent Black Canary is almost a mockery in the wake of Sara’s. Dawn is suddenly introduced to us in Season 5 as Buffy’s younger sister. She simply felt thrown into the show just for the sake of having another character. Dawn was an annoying character, and her teen angst was so unbearable that we almost stopped watching Buffy entirely (don’t worry, everyone, we persevered). She all too frequently tried to take the spotlight from others (for example, her meltdowns on Buffy’s birthdays). Dawn mostly felt like she was intended to be the “annoying little sister” who was always around, vying for everyone’s attention, and acting like a spoiled brat. She frequently sulked and complained to the point where every time she appeared on the television, we took a bathroom break. It also doesn’t help that Dawn was constantly overshadowed by her older sister, and pair that with the fact that actor Michelle Trachtenberg had some uncomfortably bad scenes in the series, and you’ve got yourself one bad TV character. 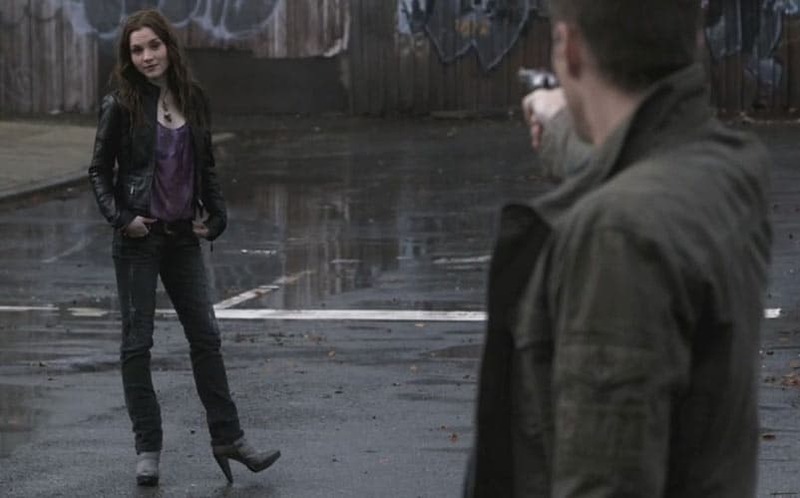 Meg was once a foe for the Winchester brothers, but after she died and came back as a new actress (Rachel Miner) in Season 5, she was entirely unwatchable. What makes her so unbearable is that she’s such an archetype: the sassy but good-looking tough-talking female. She quickly wore out her welcome, and eventually she just felt like she was there to just, well, be there; she felt like a filler character. We’ll admit that she’s a very polarizing character, but we fall on the side that doesn’t like her. The first Meg was easy enough to watch, but Meg 2.0 is ruining Supernatural. We’re patiently awaiting Meg 3.0. Technically this is two characters, but Nikki and Paulo deserve to be lumped together. The infamous couple appeared at the beginning of Lost Season 3, and viewers were expected to believe that they had simply been hiding out on the island this whole time. They just decided to wait two whole months to make their presence known. Luckily, only 11 episodes after their debut, the incredibly obnoxious duo were buried alive — fan service at its finest. The duo were easily the least memorable characters of the Lost cast. Anna Gunn is a great actress, so we’re not blaming our dislike of Skyler White on the acting. Instead, we’ll blame it on the poor choices made by the Breaking Bad writing team. She always played the role of the neurotic wife, and when she finds out about Walt’s drug gig, she acts out in the worst way possible, quickly cementing herself as one of the worst TV characters ever. She always seemed to seethe with anger, at least after she stopped being the voice of morality for the show (which, we think is probably when we started to dislike her character). Of course, we realize marriages are complicated and it’s probably not easy to just one day find out your husband is a drug kingpin, so it’s probably not fair to say we dislike Skyler. But we never said this list was fair, did we? Lori Grimes, as a character, was a heavily conflicted, wishy-washy and confusing person. Sarah Wayne Callies, the actress behind Lori, did an okay job in her portrayal of the complex character, but being “just okay” on a show filled with otherwise impressive actors made her just okayness too apparent. But, Callies was far from Lori’s biggest issue. Her crash scene in the “Nebraska” episode felt forced (she crashed while looking at a map and not paying attention to the road ahead), and her contradictory scenes surrounding Shane’s death were hard to be believed (first she wanted him dead, then when Rick did the deed, he was treated like a monster). Even though we disliked the direction her character was headed before she died, her death scene and goodbye to Carl was one of the most difficult TV scenes to watch. I’m not sure if Andrea hate factored into the showrunner’s’ decision to kill her off in Season 3 — in the comics, she is alive and well — but it’s safe to say that few mourned her passing. There was a great deal wrong with Andrea’s character. For one, actress Laurie Holden was a scene chewer (more than once, it’s safe to say that she overacted). In fact, when she said she was staying in the lab too, it was too dramatic for the show’s tone. Secondly, she made bad choices (like not finishing off her sister, Amy, before Amy actually turned into a zombie; Amy could have easily reanimated and quickly taken Andrea out). And, the fatherly relationship developed between her and Dale just felt uneasy, and at the time, it was the storyline that viewers simply didn’t care about. Her relationship with the Governor also felt forced, and viewers were more annoyed by it than anything else. It also didn’t help that Andrea in the TV show was nothing like the badass Andrea from the comic book series. Lost Cast: Where Are They Now?